Slater High School Counselor Jessica Clements is reminding others that Slater High School Graduation is this Sunday, May 15 at 4:00 pm in the HS Gym. 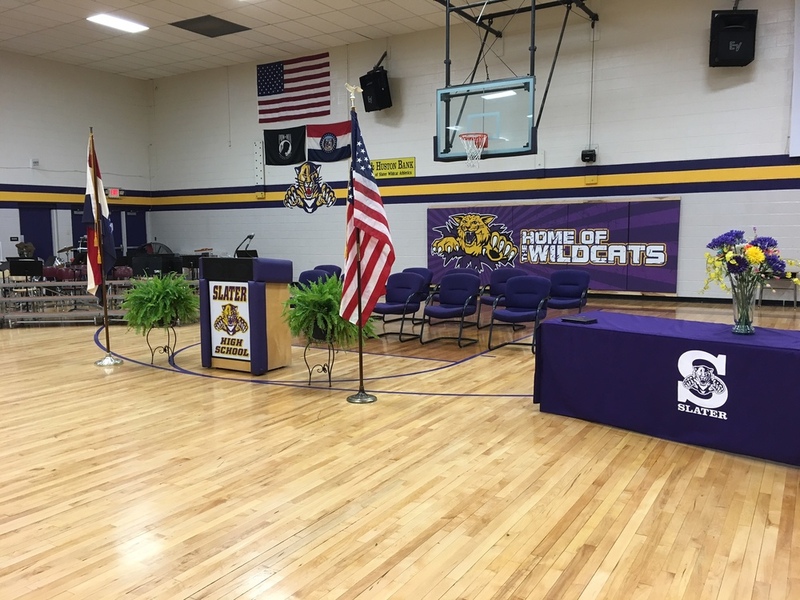 "The stage is set and we're ready to welcome our newest alumni Wildcats!" Clements said. Besides the commencement ceremony, numerous scholarships will be presented in addition to Slater High School's traditional 'Slater Scholars' recognition. The commencement speaker this year is retired Slater educator Mrs. Barb Humburg. "We encourage everyone to come and welcome this wonderful group of young men and women into our Wildcat Alumni fold," said Clements.